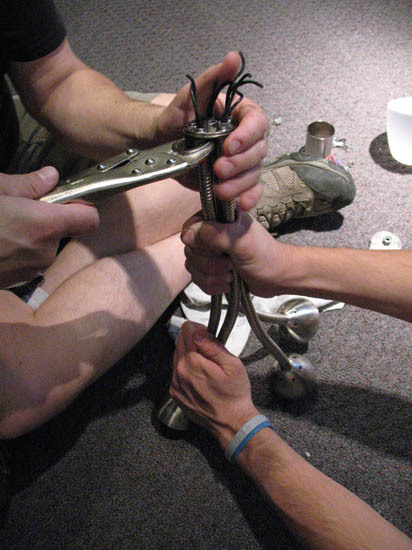 It was difficult to remove each lamp neck from the main lamp bracket so two people was necessary for this part of the Farm Fountain project. One to hold the main lamp bracket with a wrench and the other to slowly turn the lamp necks out of the threaded sockets. A pair of locking pliers was necessary to create enough holding onto the neck.